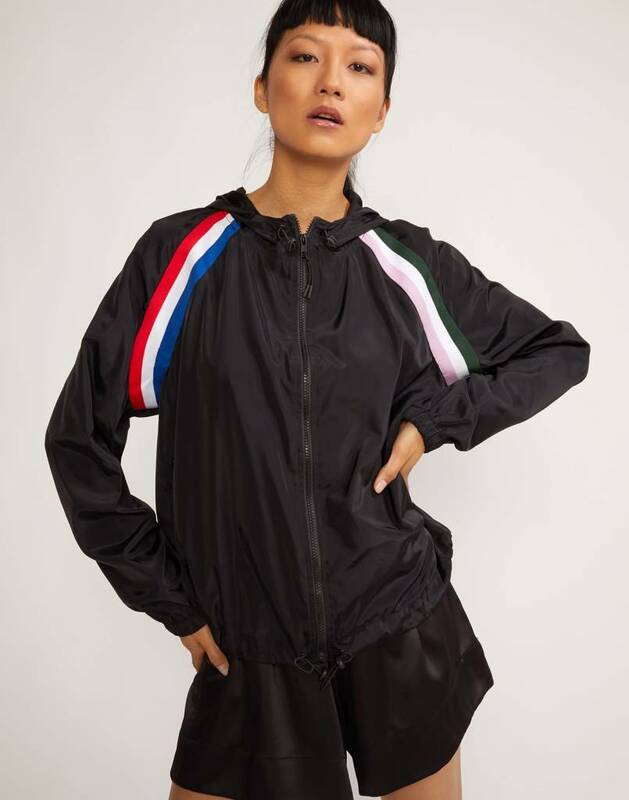 Lightweight nylon windbreaker jacket with colorblock stripe detail. 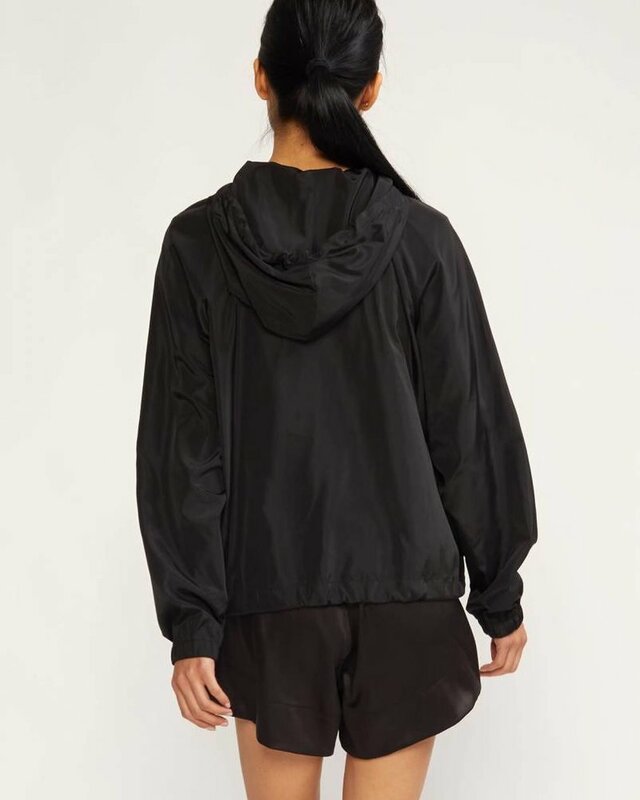 Features hood with adjustable elastic draw cord and zip front closure. Jacket is unlined.